When in Shawville, Quebec, I stayed at Mill Dam Park. 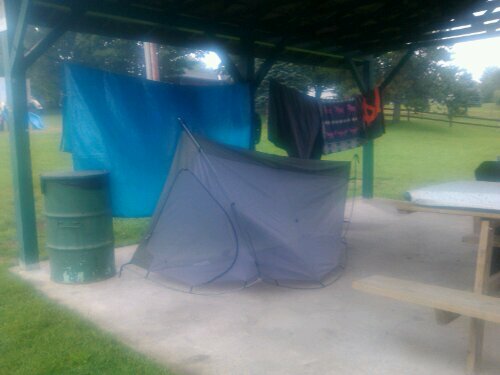 A cute little park that offered free camping to cyclists needing an overnight stay. When I got there, I was thrilled to see there was another cyclist spending the night. Dino, originally from England, had traveled from British Columbia and was making her way to Ottawa as well. She had been on the road since the beginning of June. We had a great evening of sharing cycling stories, adventures and she had many questions about the ministry part of my trip. I had invited her to join me for a pancake breakfast the next morning. 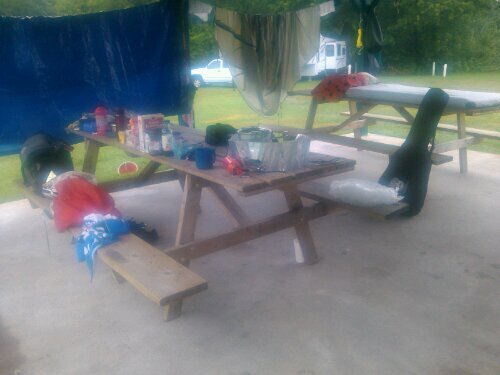 It had rained the whole morning and throughout the evening, but breakfast was still a go under the picnic pavilion. 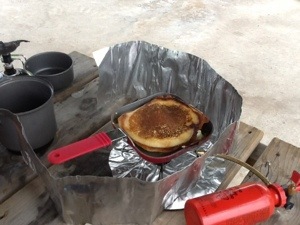 The pancakes were great! 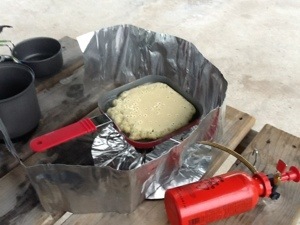 I used a MSR lightweight camping stove I had picked up from MEC and a $5 mini frying pan I picked up from Walmart in Pembroke. It had rained most of the morning into the early afternoon. I stayed under the pavilion till it stopped. 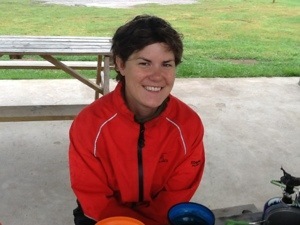 Dino pressed on after breakfast despite the rain as she had to be in Ottawa. I prayed with her for Salvation and for safety on her journey. After several hours the rain stopped and the sun came out. I managed to get back on the Cycloparc trail. 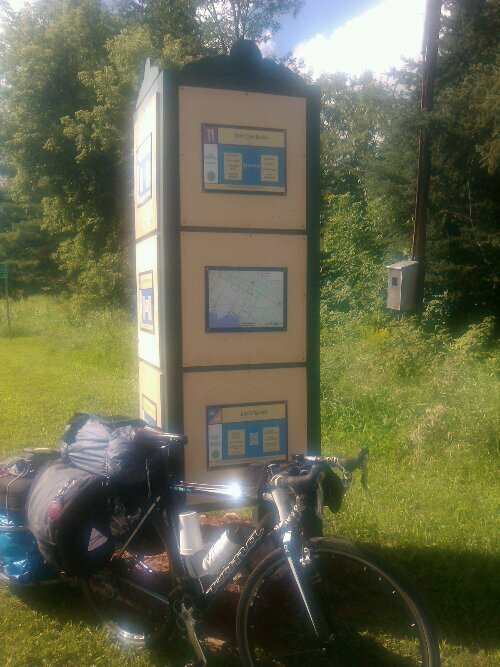 After 98 km, the trail ended in Bristol. I kept on going on Hwy 148 and ended up spending the evening in the small town of Quyon, Quebec. August 5, 2013 in christian ministry.